The solution was to create a custom shader based on the standard Unity sprite shader which makes use of the stencil buffer to conditionally render pixels depending on whether anything has already been drawn there. The stencil buffer is an additional data buffer available to shaders during the rendering process, consisting of one 8-bit integer per pixel. By adding data to this as we render each circle and then using that data when rendering others, we can ensure that we draw to each pixel at most once. Let’s look at it in some more detail. We have two overlapping circles. We want to render both of them, but without the overlap in the middle, and we still want to see the terrain behind it. Comp Greater		// Is the Ref greater than the value in the buffer for this pixel? 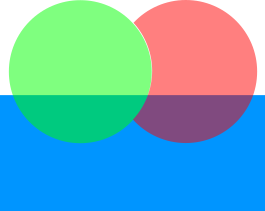 Now we come to render the second circle, and the stencil buffer contains the data we added when we rendered the first. We do exactly the same test (it’s the same shader after all) – is the reference value of 1 greater than the value in the buffer? Well, for most of the circle, that test still passes, so we increment the value in the buffer and draw a pixel. However, for areas that are occupied by the other circle, the test fails. When we fail the stencil test, we skip rendering that pixel altogether, resulting in the shape we see above. As we can see, the result will be that every pixel will be drawn to at most once. 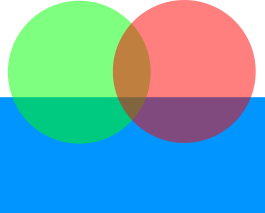 We can see the background, both circles are the correct colour and alpha level, but there’s no nasty overlap. In game it looks pretty good. We get a nice gradient across all the pheromone circles as the values rise and fall. 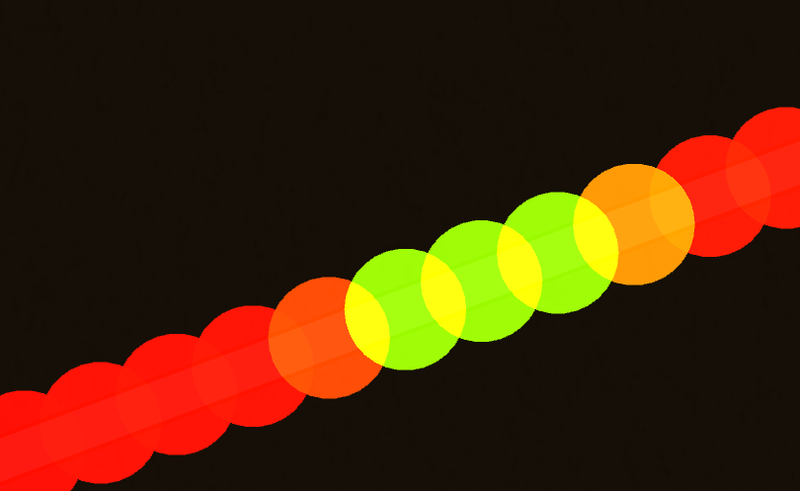 The full shader code to achieve this effect is shown below. This entry was tagged shaderlab, unity, unity3d. Bookmark the permalink.